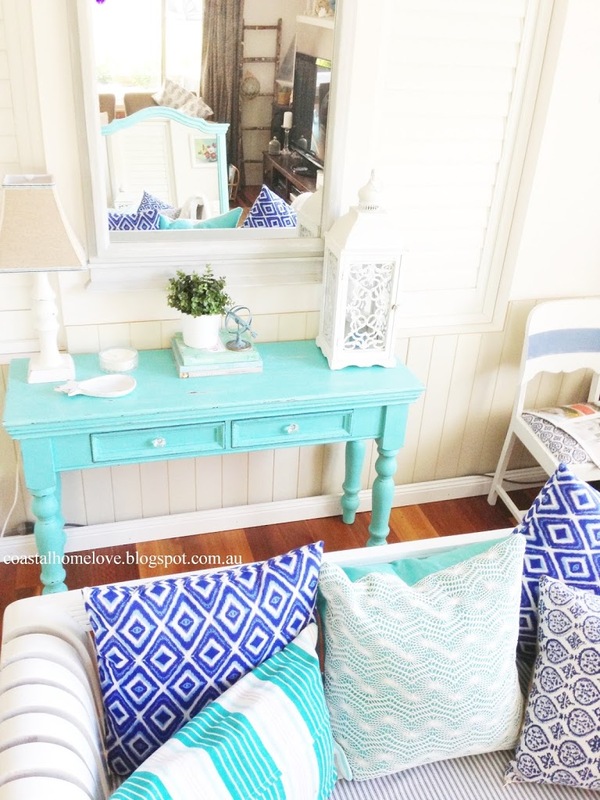 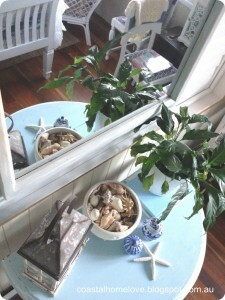 Aqualicious Hall Table and Mirror Makeover! 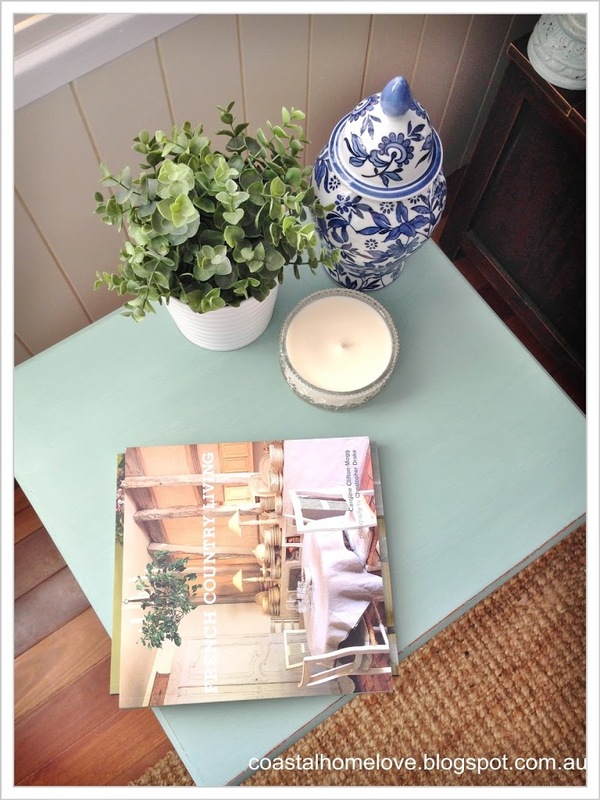 I realised this is my 50th blog post, a milestone for my little blog! Thank you so much for following along and for all your lovely comments, they warm my heart! 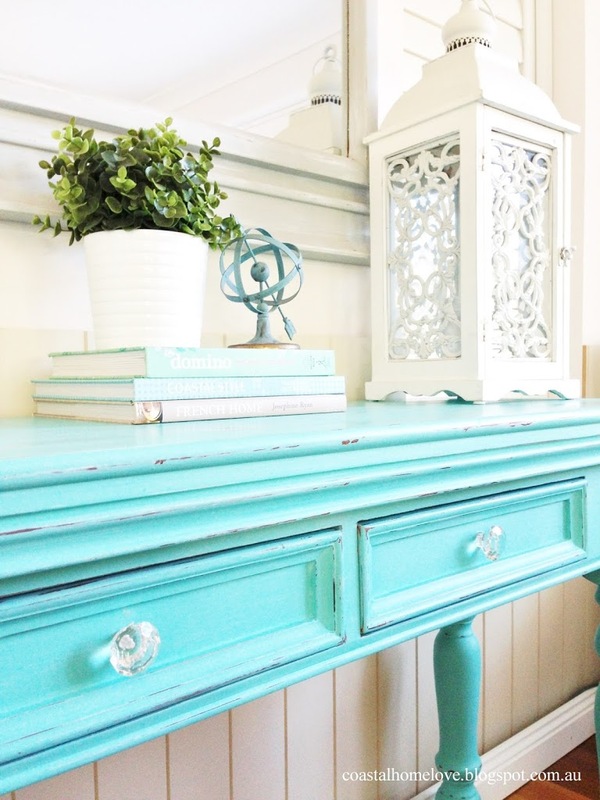 I feel so lucky to have had a few projects featured, including three in the last couple of weeks… this is crazy exciting for my teeny blog. 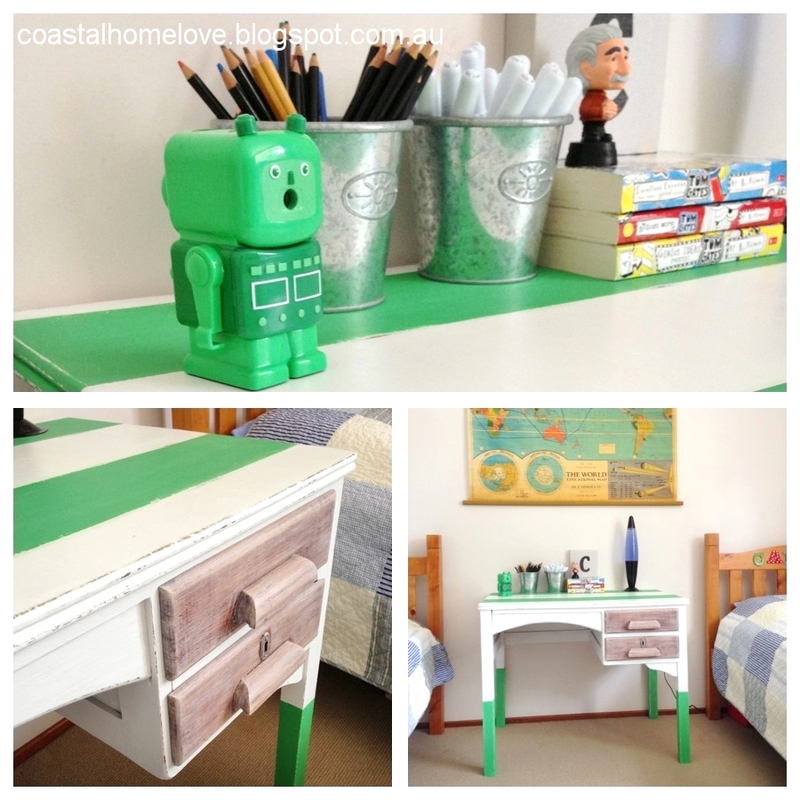 You can check out my featured projects here :). 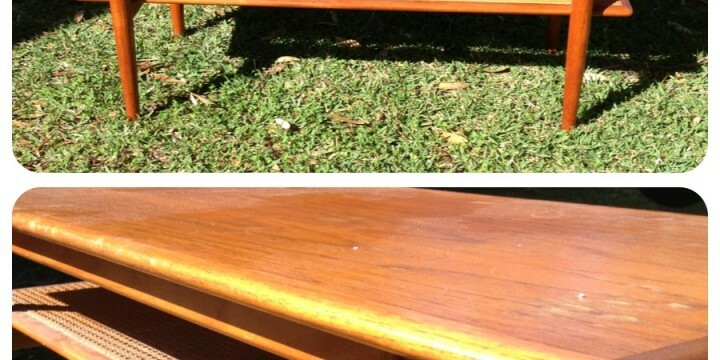 Now onto a Before and After Quickie! 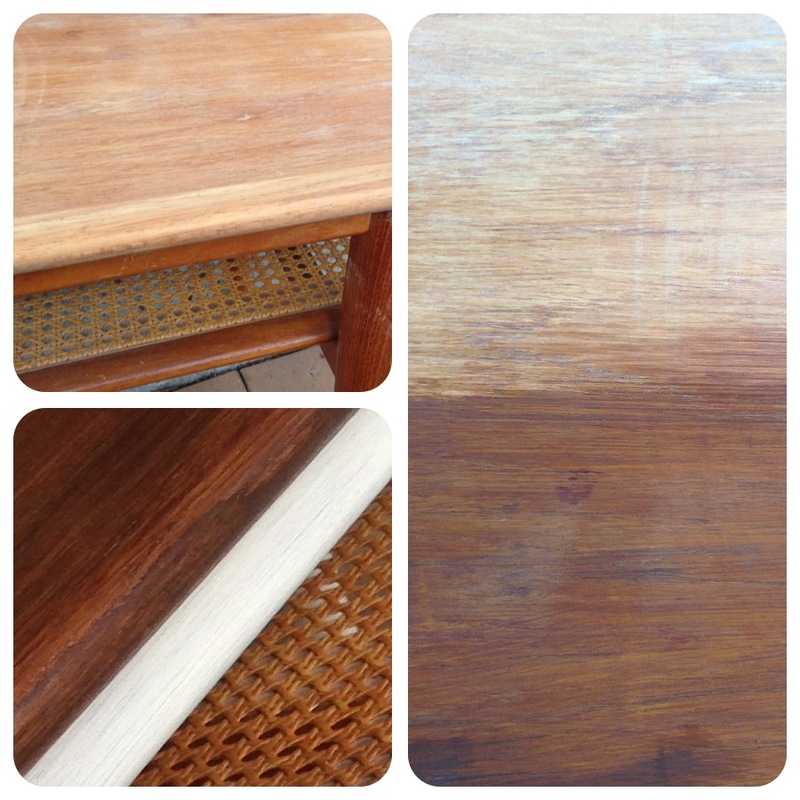 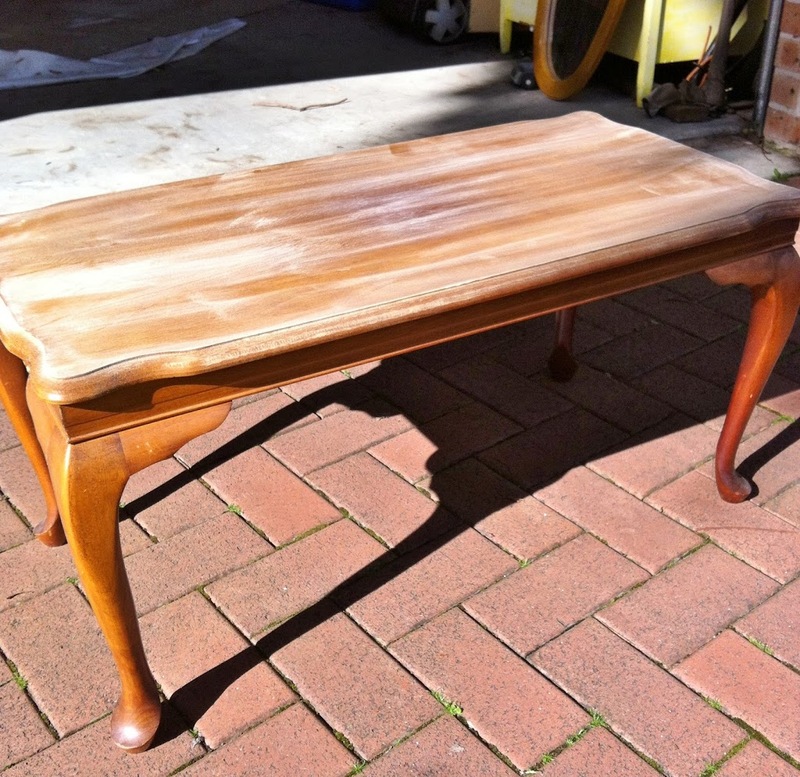 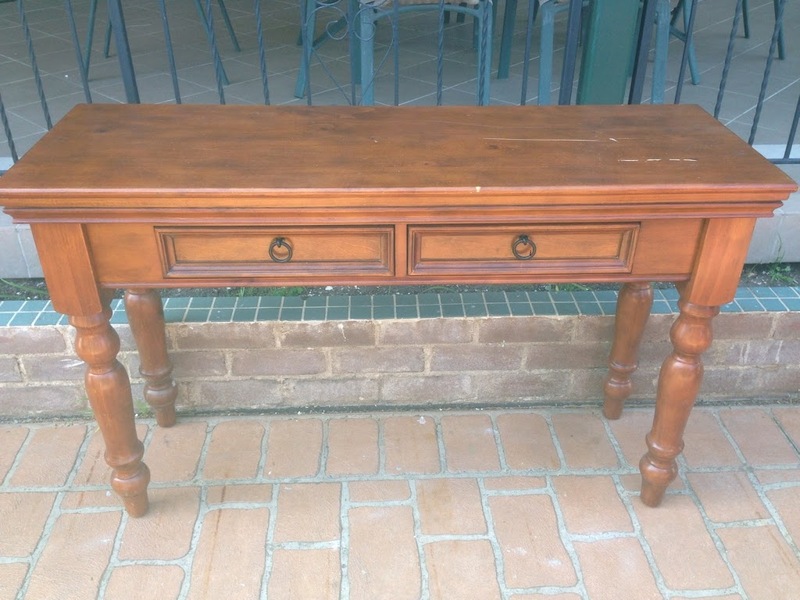 I’m always on a mission to ban fake tan furniture… so when I came across this guy I knew I had to help him! 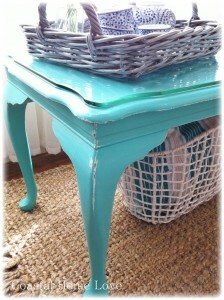 I fell in love with the shape and details of this piece.. and I knew he was destined for Aqua greatness! 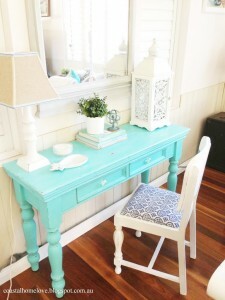 The chair is part of a set of four which I refinished earlier this year. 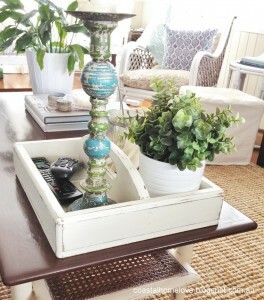 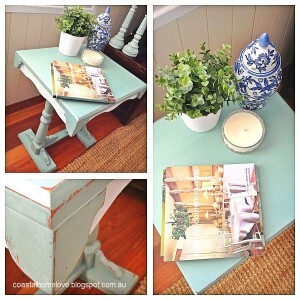 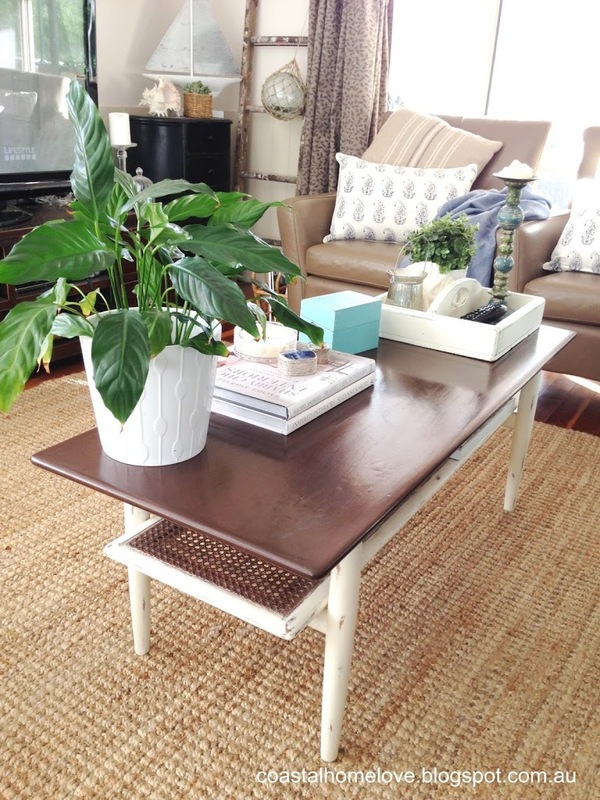 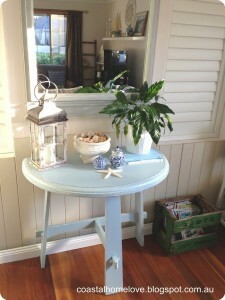 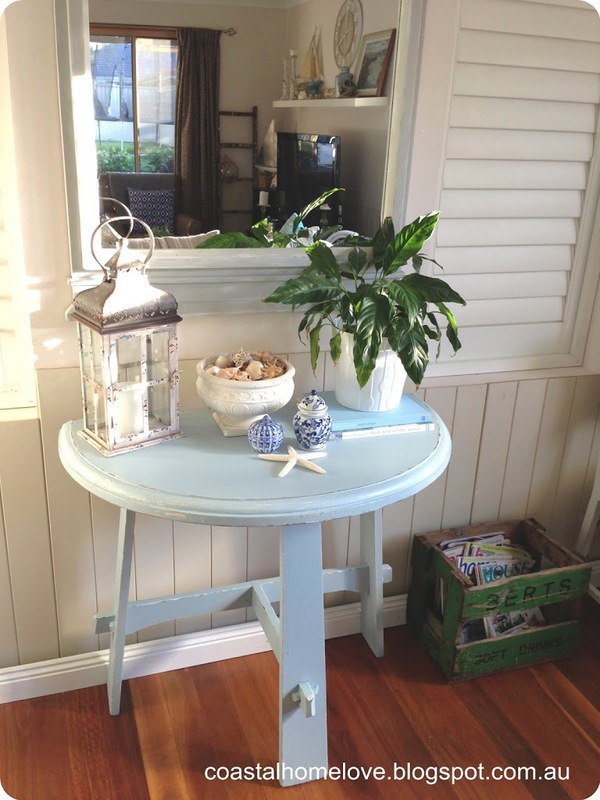 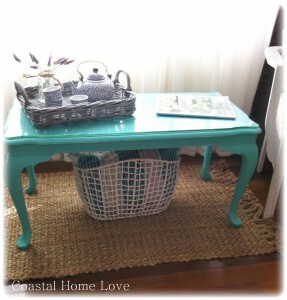 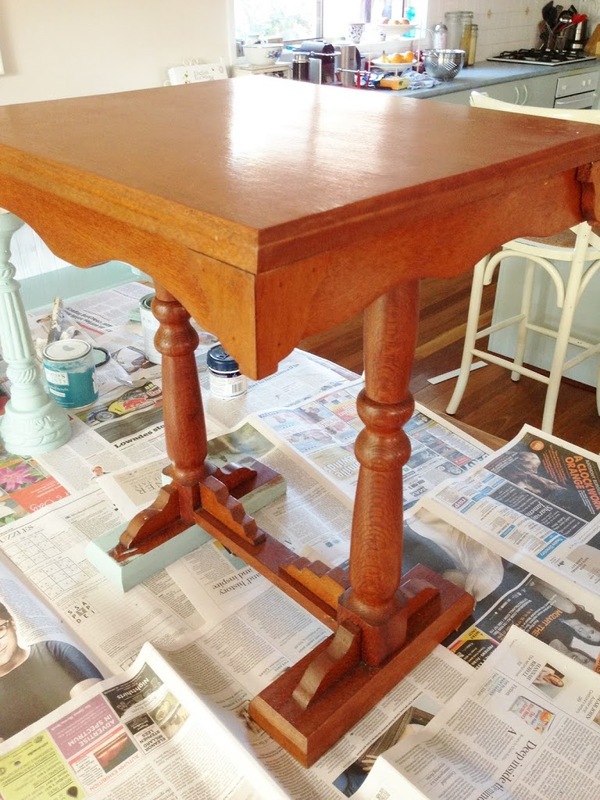 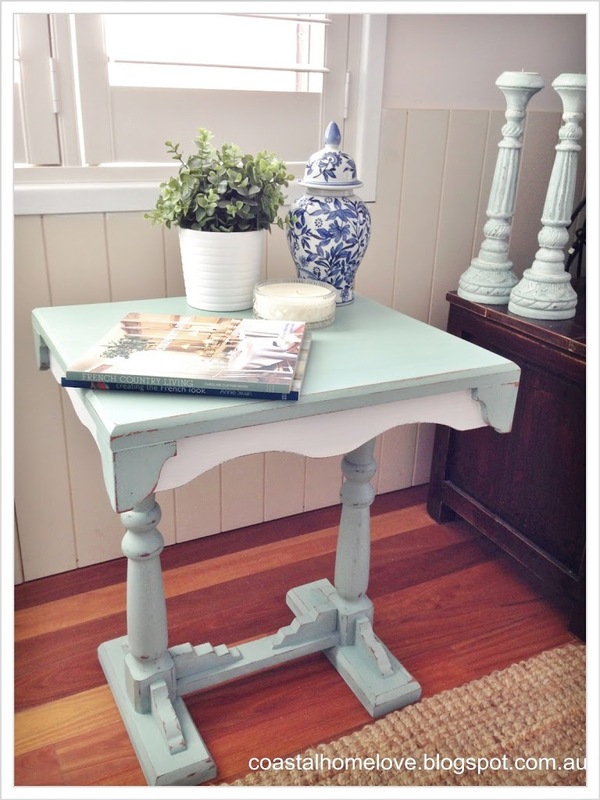 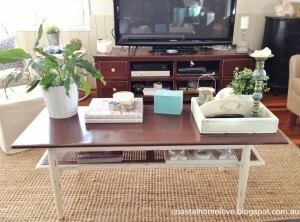 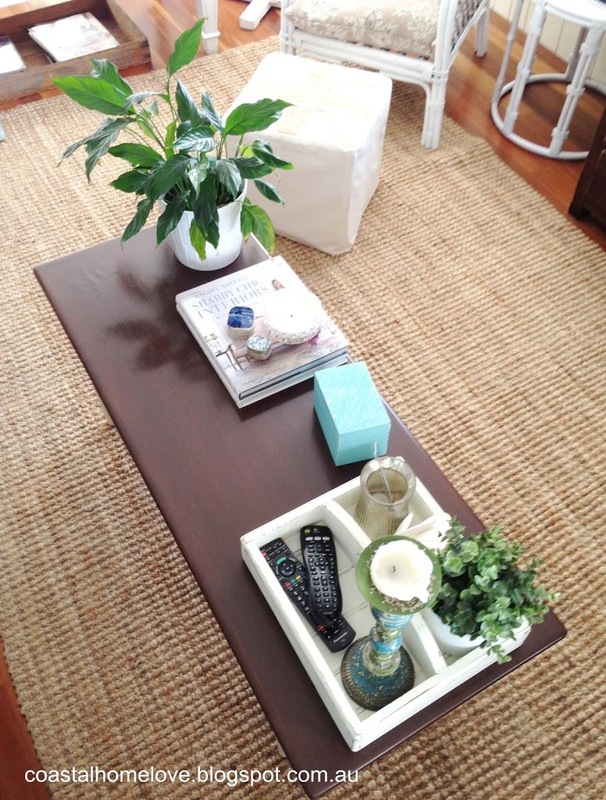 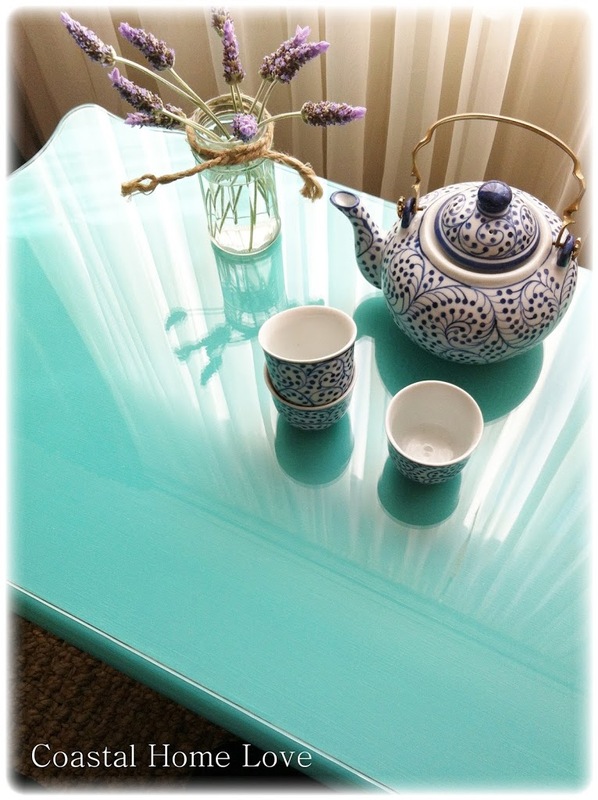 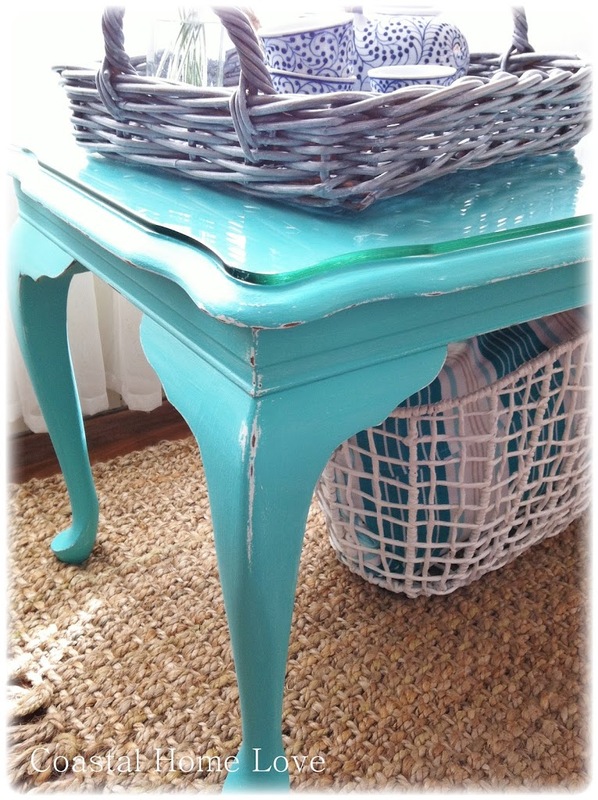 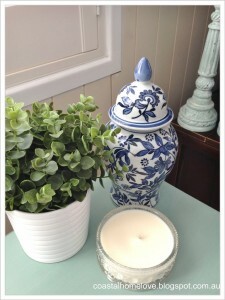 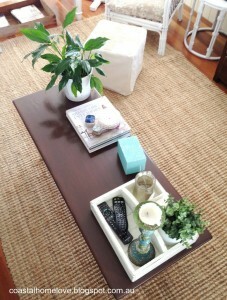 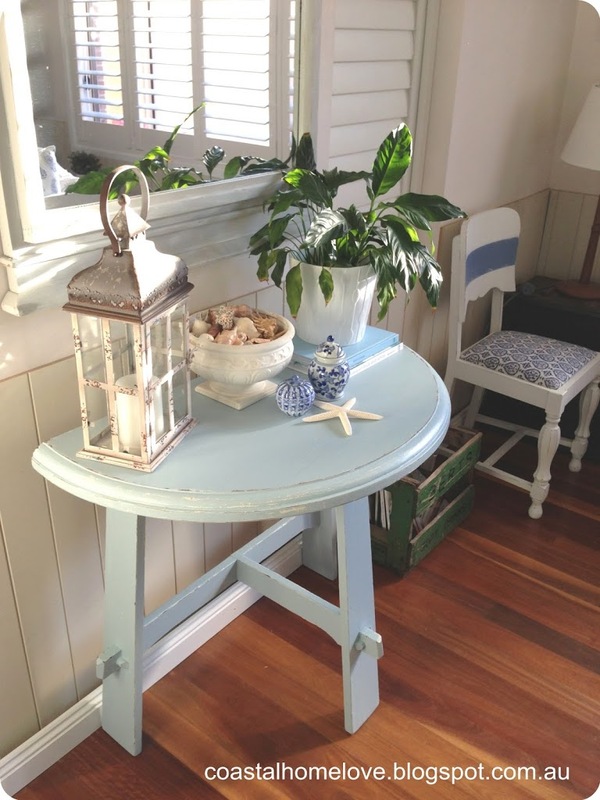 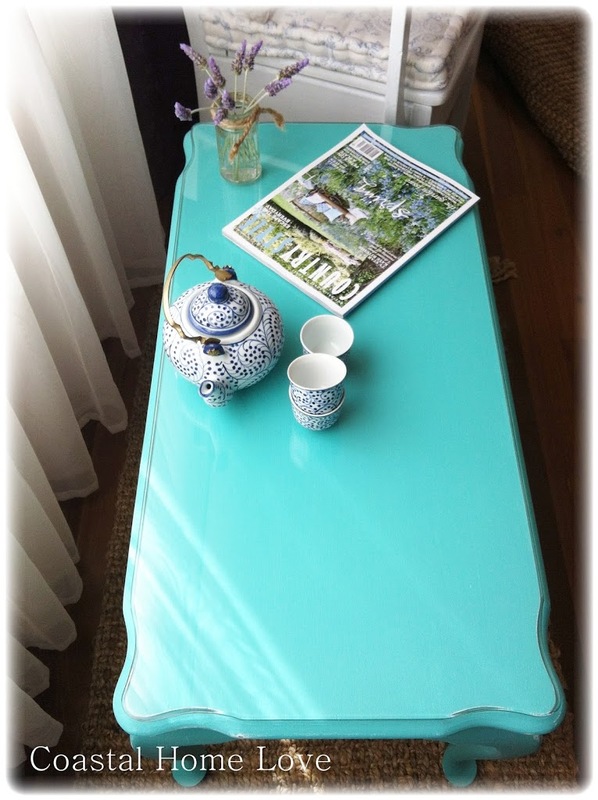 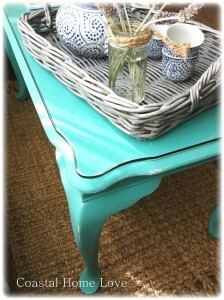 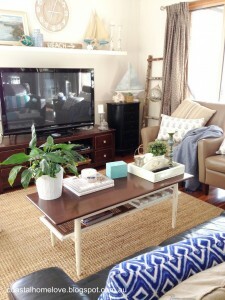 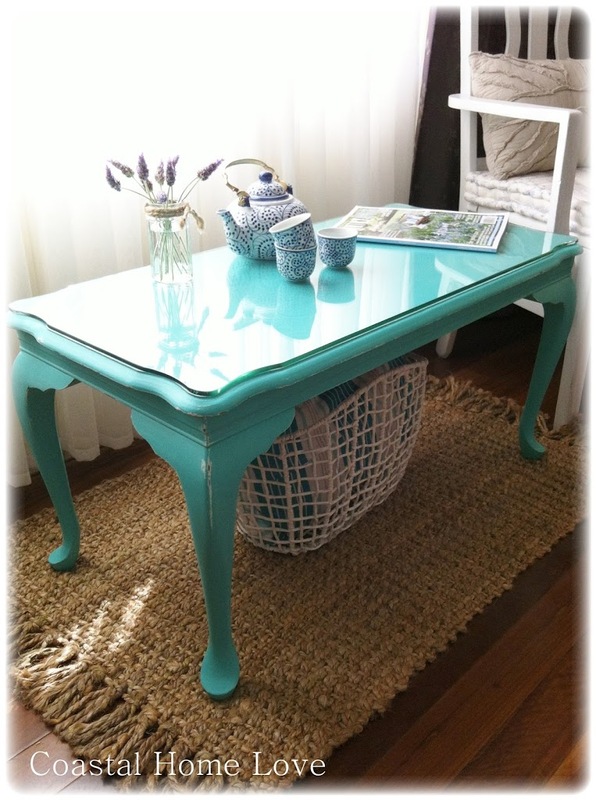 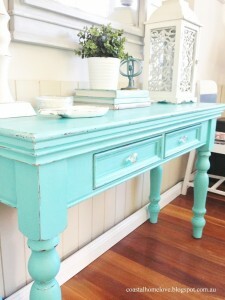 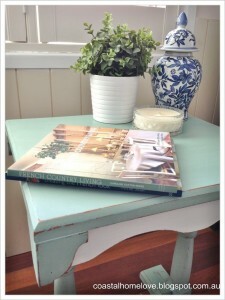 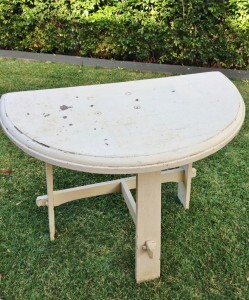 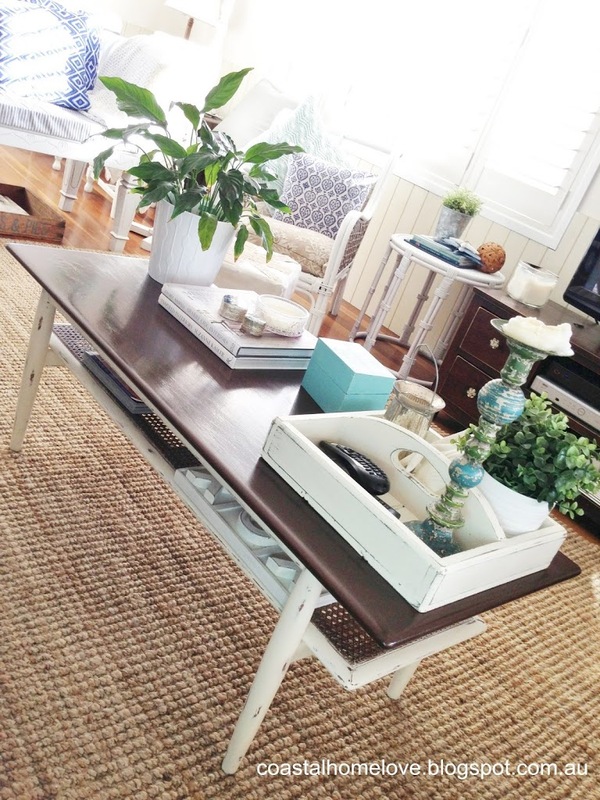 A Vintage Table Makeover in Coastal Blue! 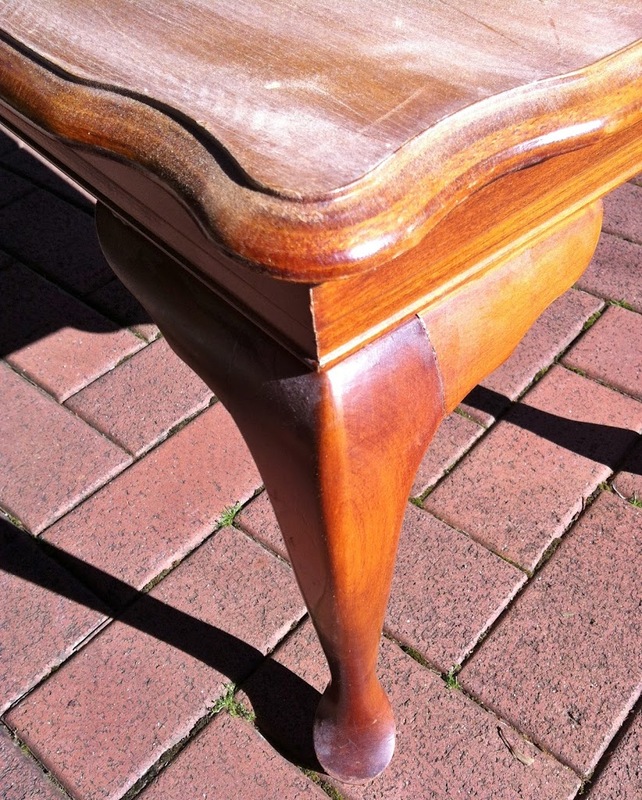 I absolutely love the shape of this old piece, it has buckets of character and as soon as I saw it I knew it would come up a treat. 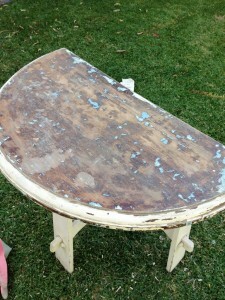 He was in pretty bad shape, the top had two large holes all the way through and many layers of peeling paint. As soon as he was dropped off I got started stripping the top back and repairing the holes. Old pieces like this one have the potential to be amazing with some time, patience and a whole lot of TLC. If you happen to find a hidden gem at the back of Mum and Dad’s shed please note, more often than not, the paint probably contains lead. 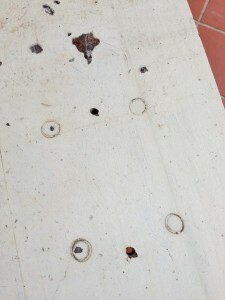 Lead is very nasty and can be very dangerous so please, please use precautions. 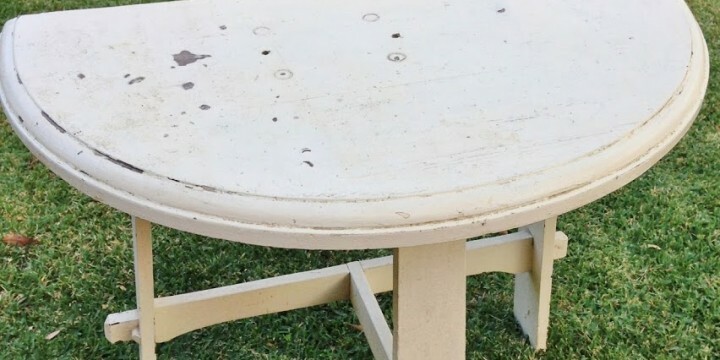 Once he was all prepped, a horrid messy job, I gave him a good sand all over and undercoated him. Then he was ready for some colour… going for a fresh Coastal look, I mixed up a beautiful shade of pale blue and gave him two coats. Then took to him with some fine and medium grade sandpaper. I finished him off with some gorgeous Annie Sloan clear wax. 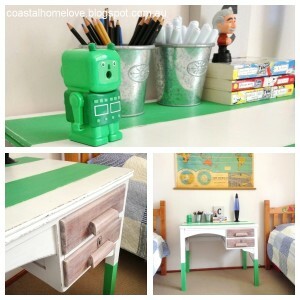 I love how this piece turned out, the toughest part of my job here was handing him back! 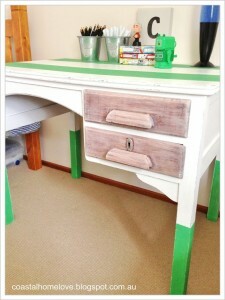 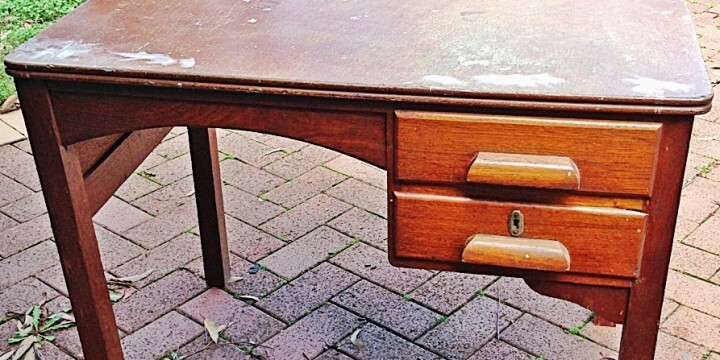 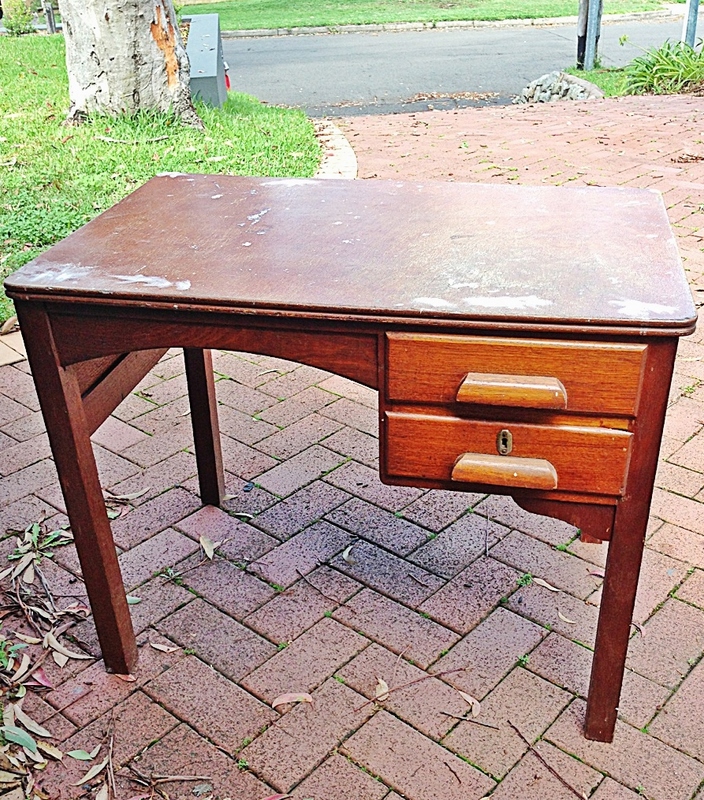 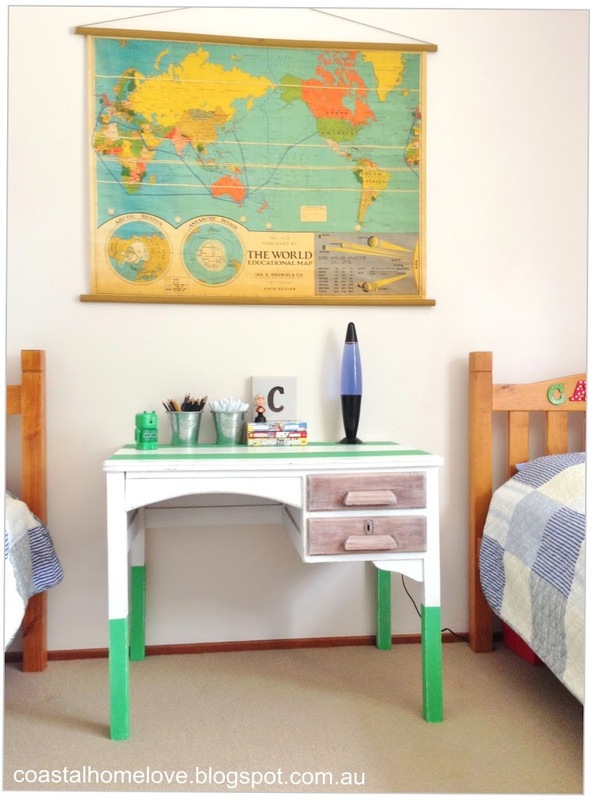 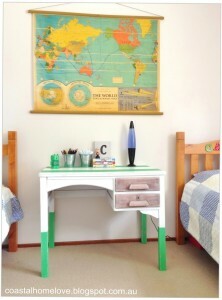 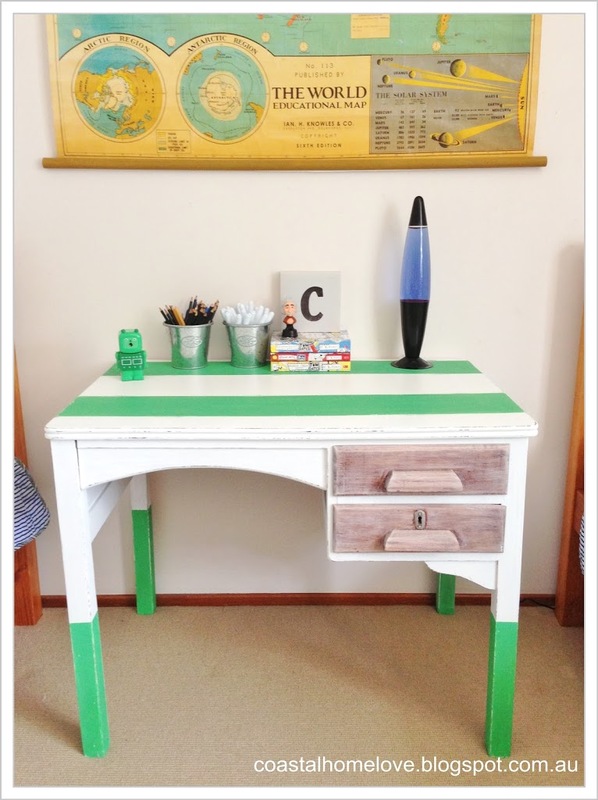 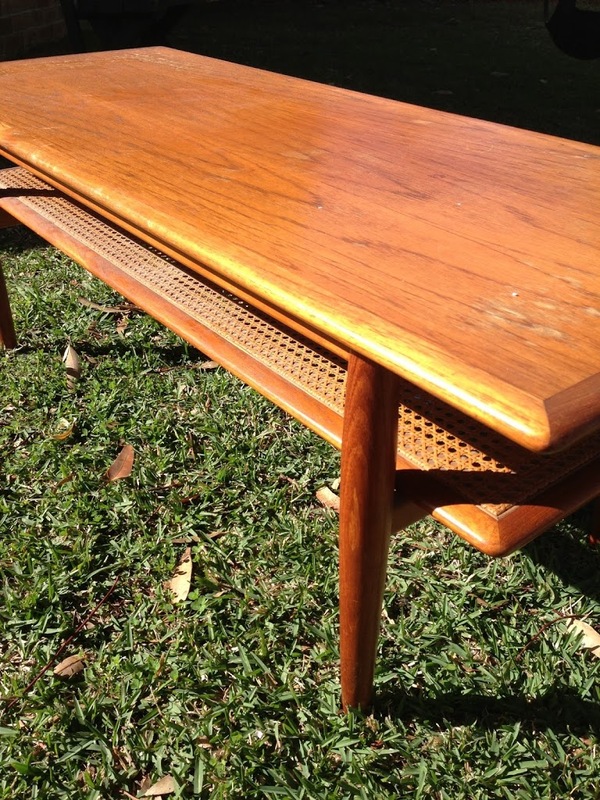 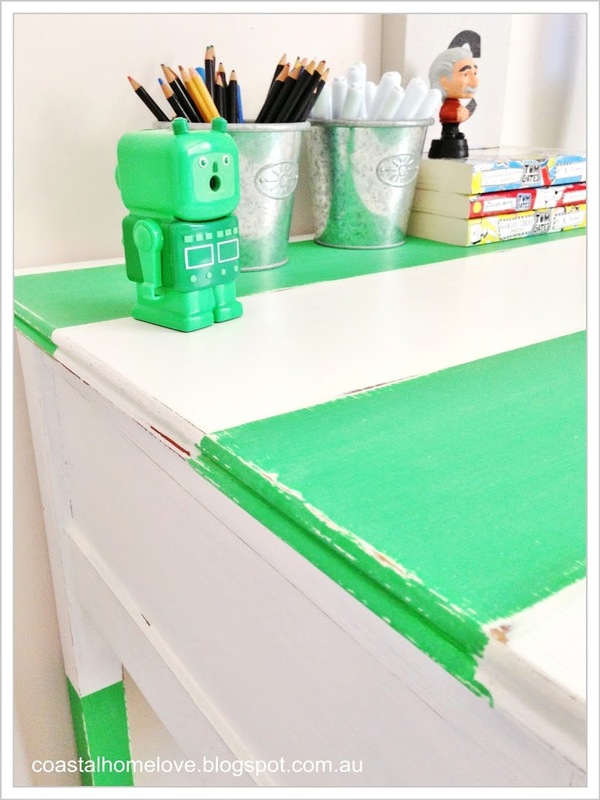 Little Vintage Desk Gets a Funky Retro Makeover! 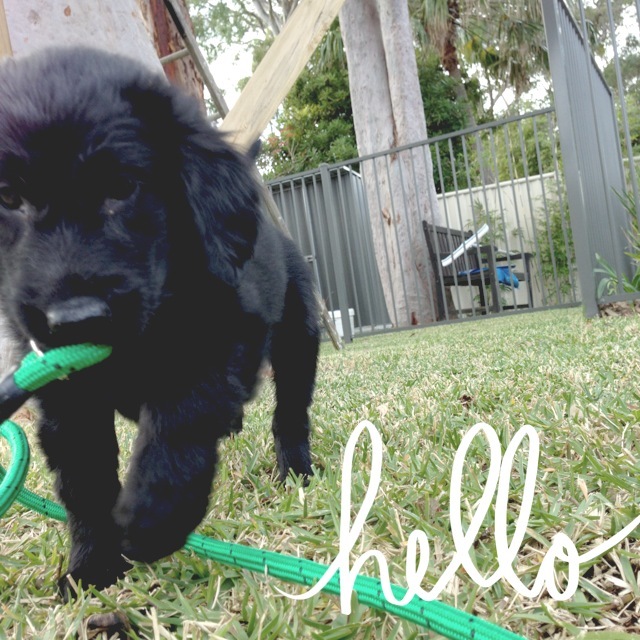 Yep so I’m not so good with the whole regular blog posting thing… another long break between posts! 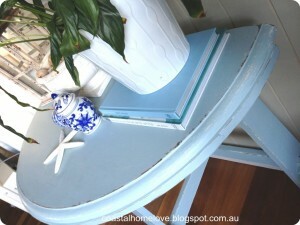 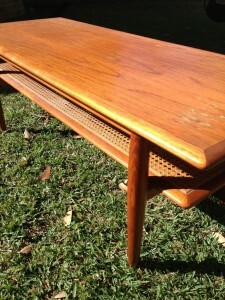 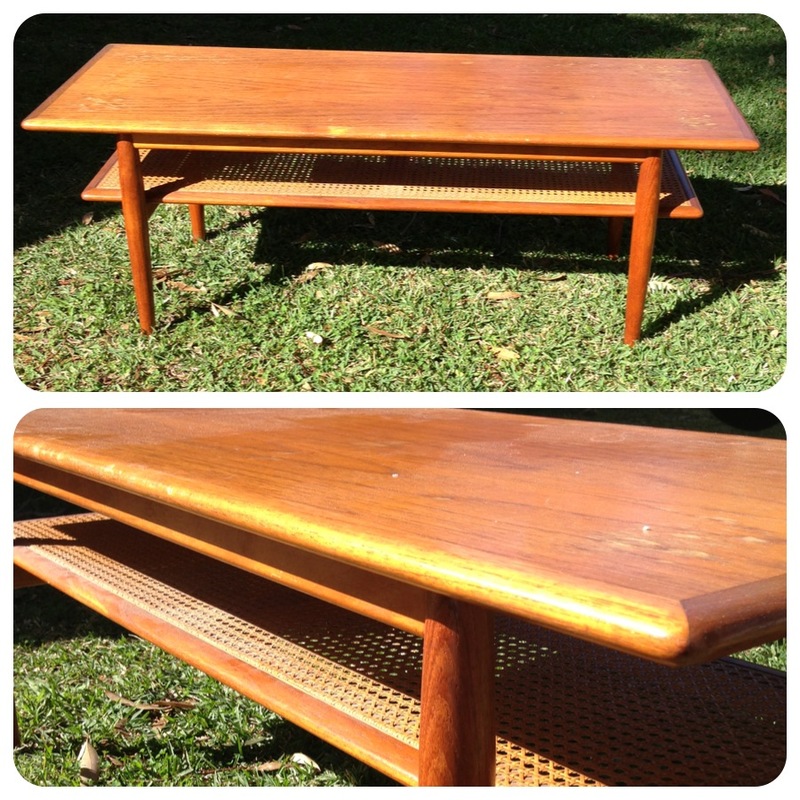 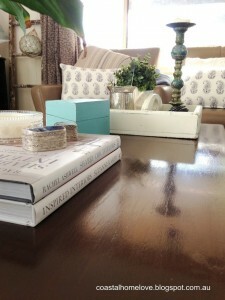 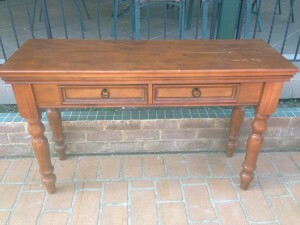 Rest assured I’ve finished several makeovers and been up to some fun furniture and thrifting capers! I started by painting him all white, it was at this point my boys chimed in with retorts of how totes boring all white was! 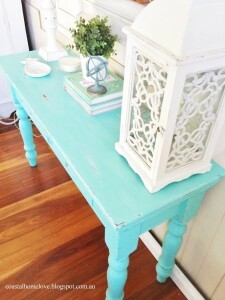 I was outnumbered so we needed to break open some colour! 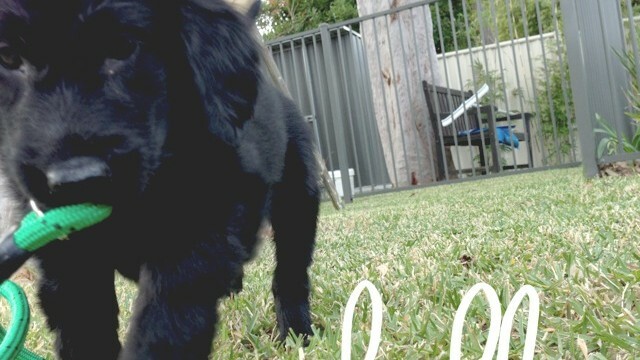 Well I think he has quite the personality now! 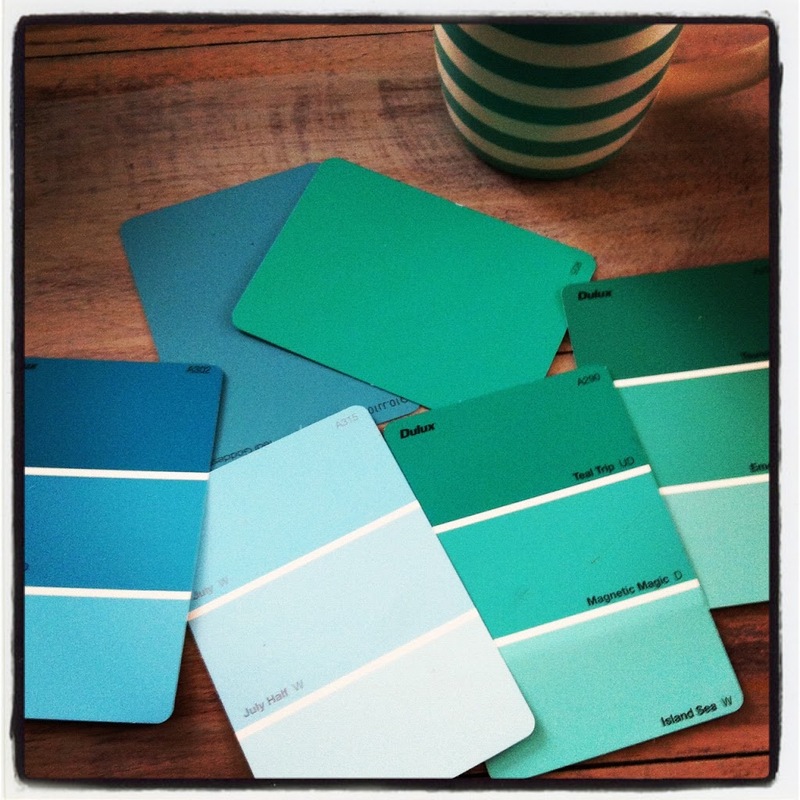 What do you think, like the green? 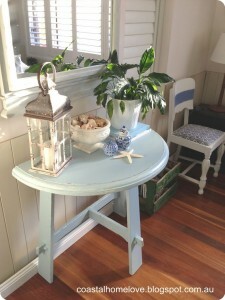 I bought her earlier this year, she’s sat precariously balanced on top of bikes, lawn mower and other garage paraphernalia for a few months now. I decided her time had come. 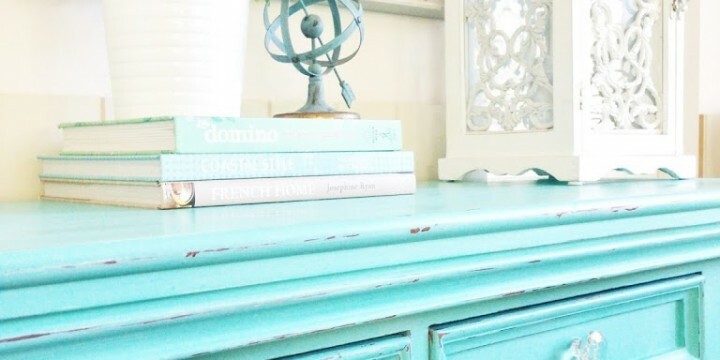 I heart turquoise! 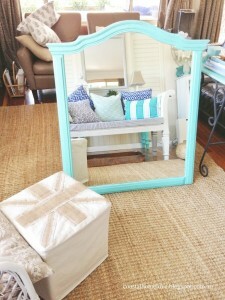 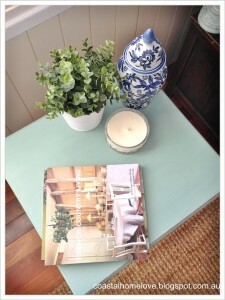 I mean what’s not to love… It’s so fun and fresh, and lends itself so well to so many styles of decorating. 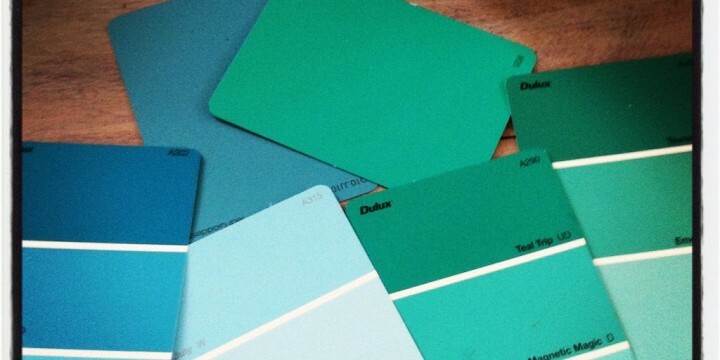 The shade I chose is called Magnetic Magic by Dulux. I love glass tops like this… not only does it protect the painted top, it allows for display of precious photos, or kids art and you can change it up whenever the urge strikes! 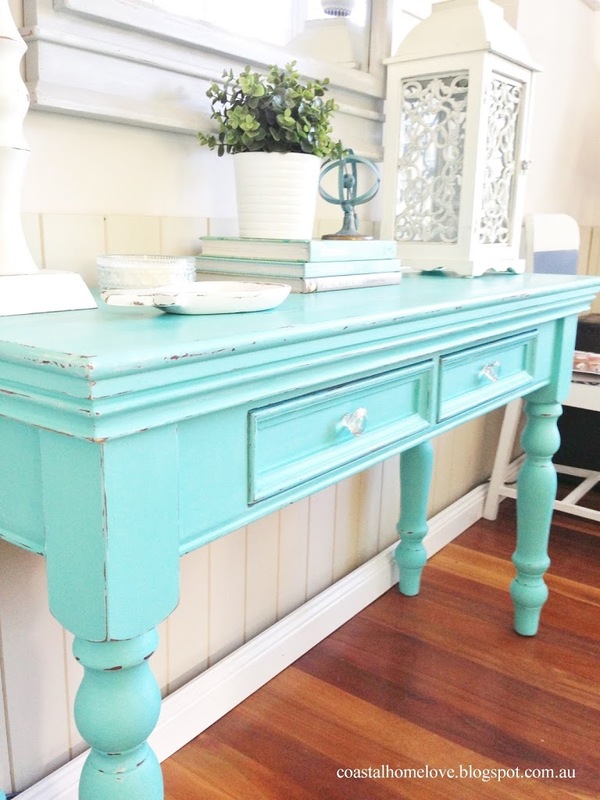 How do you like to add pops of colour? What’s your fave decorating colour at the moment? 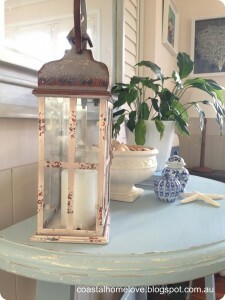 Hope you’re enjoying sun in your part of the world!